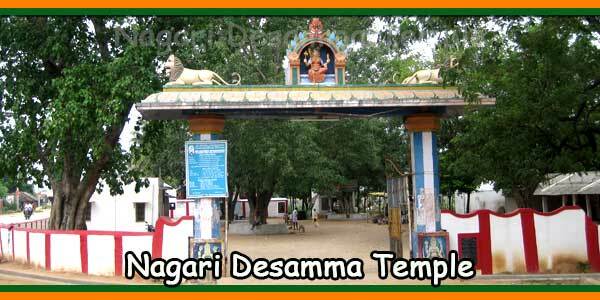 This Ancient Kari Varadharaja Perumal Temple temple is situated at Satravada in Nagari mandalam. 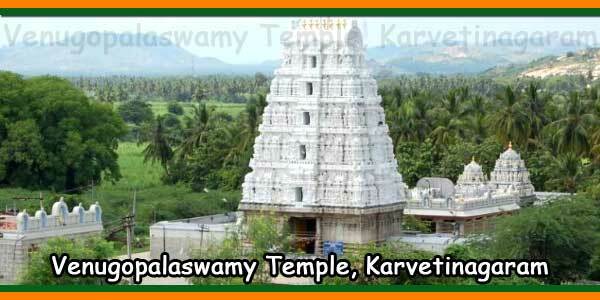 Here the presiding deity is Kari Varada Raja Swamy (Lord Vishnu) and the temple was maintained by the Karvetinagaram kings. 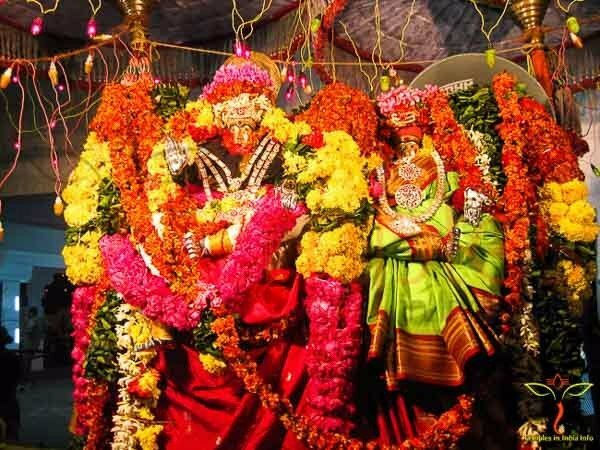 Now this temple is maintained by the TTD. Puranas sayas thousands of years ago, this area was a thick forest and home for many elephants and the Kushasthali river is very near to this place. During rainy season the water level increases and enters the forest by housing many crocodiles. One day a crocodile attacks an elephant. 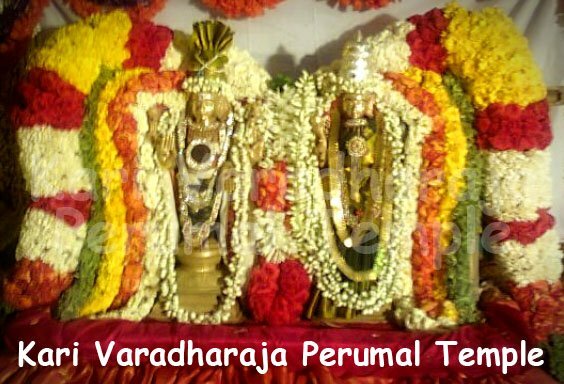 The elephant ask for help and shouts Varada (Lord Vishnu). 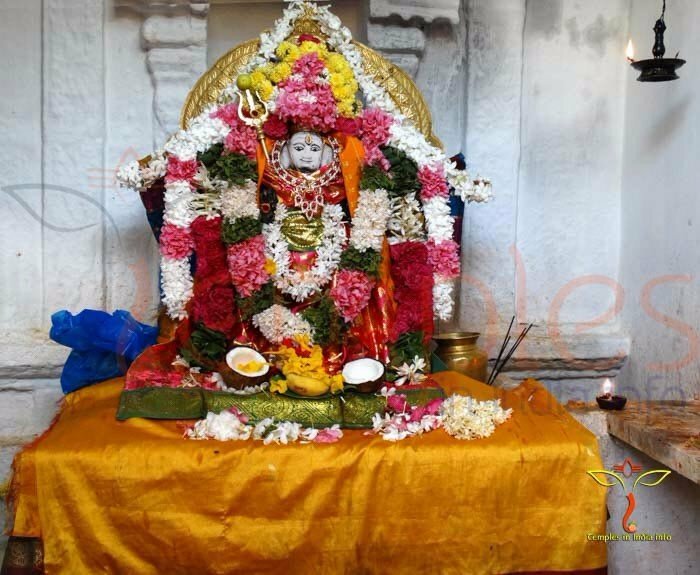 The Lord appears and leaves his Sudarshana Chakra and the crocodile was cut in 2 pieces to save the elephant. 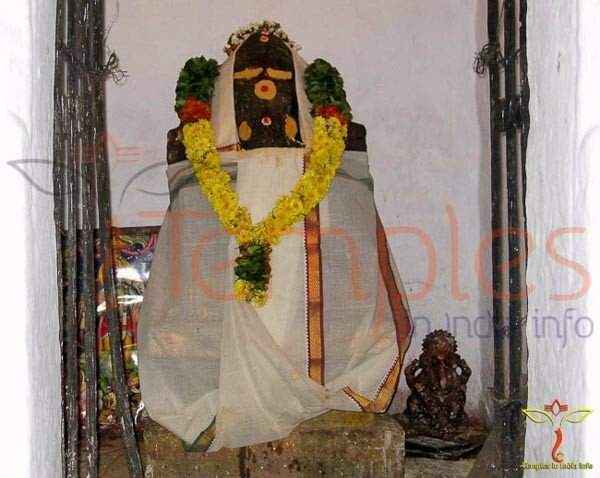 As he appears to save the elephant this place got its name Kari Varadha, Kari (elephant) Varadha (Maha Vishnu). 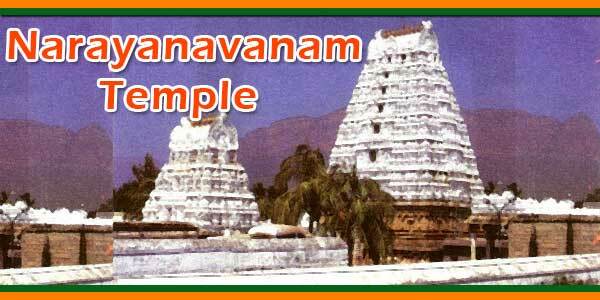 On all Chitra Pournami Nadabhavi Utsavam is conducted in this temple and “Gajendra Moksham Poojas are performed.